There are a million ways to start your day in Shanghai. Al fresco brunch, for one, or a bagel on the go. You can sip on coffee on any one of the city’s tucked-away cafés. But there is little to rival the breakfast sandwich. At its most classic, it’s bacon, scrambled egg and cheese in a roll. From there, the possibilities are limitless. Here are the best morning-time sandwiches in Shanghai. 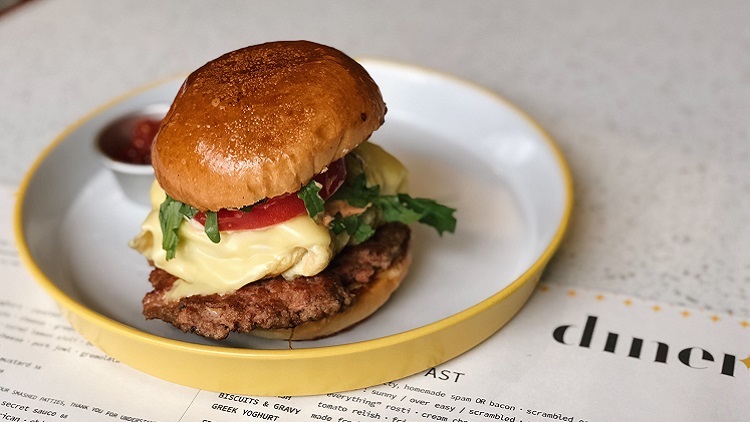 Diner does luxe American comfort food better than most anywhere else in the city, and its Egg Sandy (62RMB) is no exception. It’s stacked high with a choice of meat (sausage patty, bacon or homemade Spam), fluffy scrambled eggs, melted American cheese, rocket and a tomato slice. Served with a lovely side of tomato jam. There are the standard breakfast sarnie options at Pie Society Canteen, served on English muffins and at the usual breakfast and brunch hours, but the showstopper here is the English Breakfast Burger (88RMB). More a breakfast-themed burger than a traditional breakfast sandwich, it packs a caloric punch and tons of flavour. 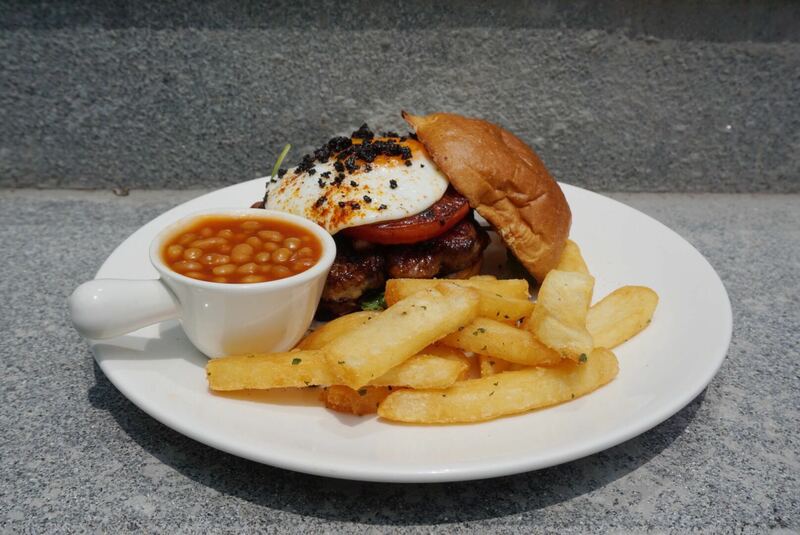 It has all the fixings of a classic English breakfast with a Cumberland sausage patty, juicy grilled tomato, sunny-side egg, bacon and black pudding crumble packed into a brioche bun. Served with a side of thick-cut chips and baked beans during lunch and dinner hours. Popular French eatery RAC may be best known for its Breton-style galettes, but its line-up of breakfast sandwiches are killer, too. 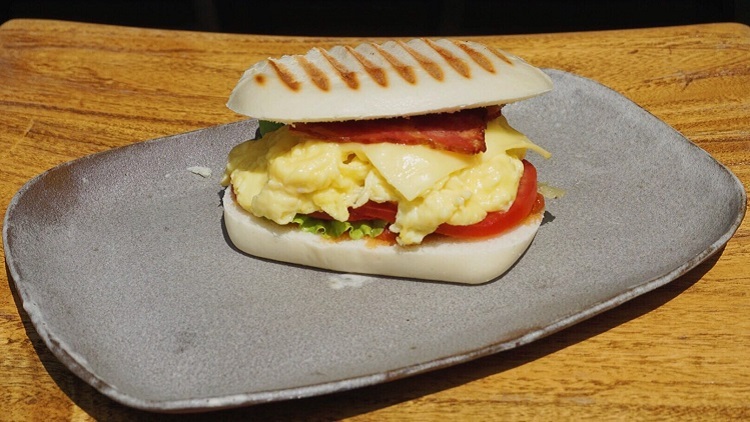 While you can have your classic bacon, egg and cheese (55RMB) or a #basic avocado, egg and cheese (55RMB), the signature Breakfast in a Bun (45RMB) will make all hearts swoon. It spills over with scrambled eggs and chive, cheddar cheese and a thick slick of onion jam and chilli mayo – all sandwiched between a pillowy, soft brioche-style bun. Brut Eatery stuffs its homemade, whole wheat mantou bun with all the fixings for a classic breakfast sandwich with a touch of an Asian spin. Filled with bacon, scrambled egg, cheese, tomato, lettuce and corn-syrup-free, house-made ketchup, the BEC Manwich (36RMB) is fusion done right. Currently it's available via delivery platforms like Eleme, Meituan and Sherpa's. Here’s a breakfast sandwich in its core essence. Like most things at Baker and Spice, it's simple but solid. 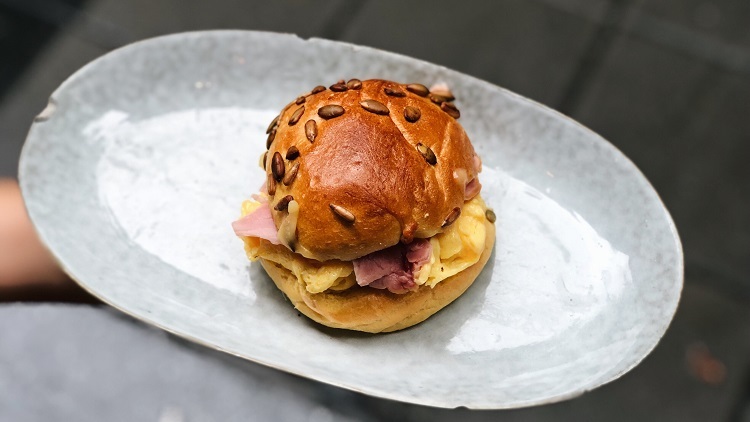 It’s unfussy – scrambled eggs, melted gouda and ham on a toasted pumpkin seed brioche bun – yet the flavour is smoky and layered. Best of all, it’s quite the bargain at 28RMB. 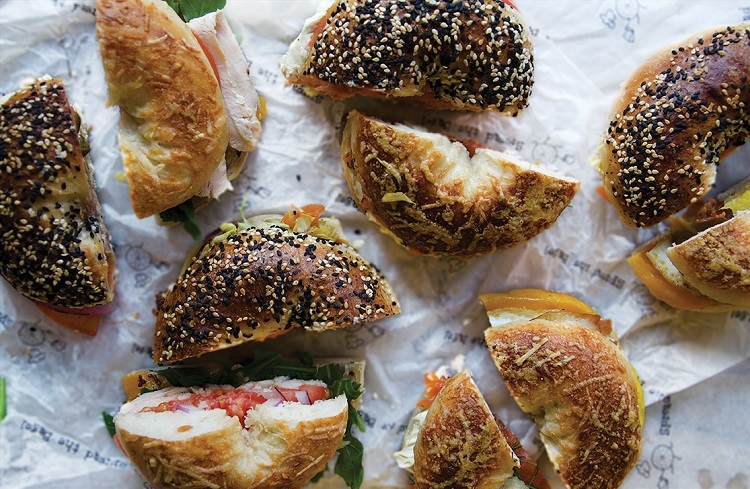 The Shanghai royalty of bagel sandwiches makes a mean breakfast edition. 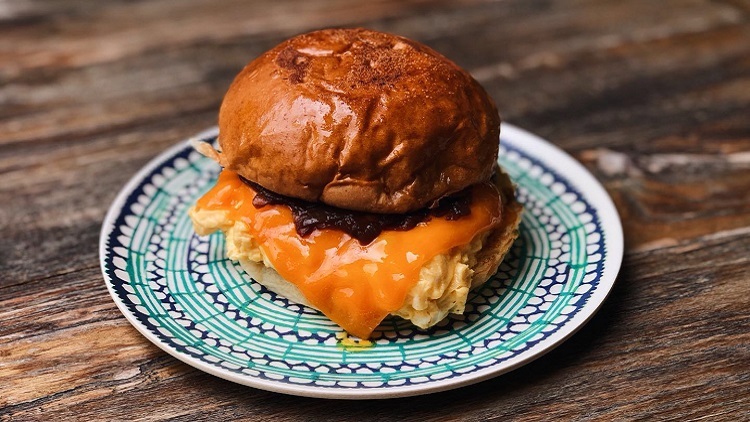 Set on a bagel of your choosing, it’s straight-up classic breakfast sandwich vibes from here on out: ham or crispy bacon, a gooey fried egg, cheddar cheese and a house secret sauce that riffs on a spicy mayo (45RMB). 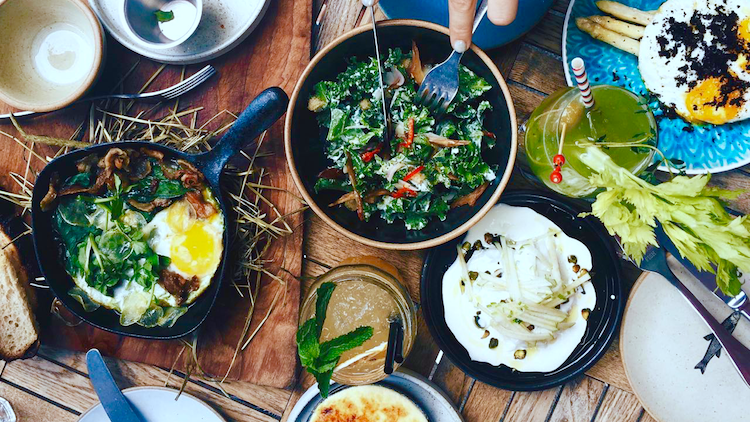 Add a coffee in the morning for a breakfast sets starting at 48RMB at its current pop-up at 174 Xiangyang Lu. 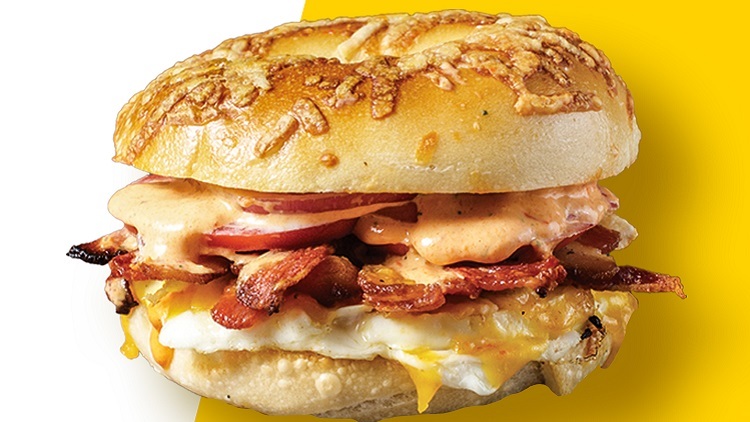 Spread the Bagel has also just launched a limited time collaboration with Dunkin Donuts, so you can cop a breakfast bagel sandwich out at Hongqiao Airport or Hongqiao Railway Station. Tucked on a back road of Jingan, Secret Bagel has a couple secrets worth spilling. 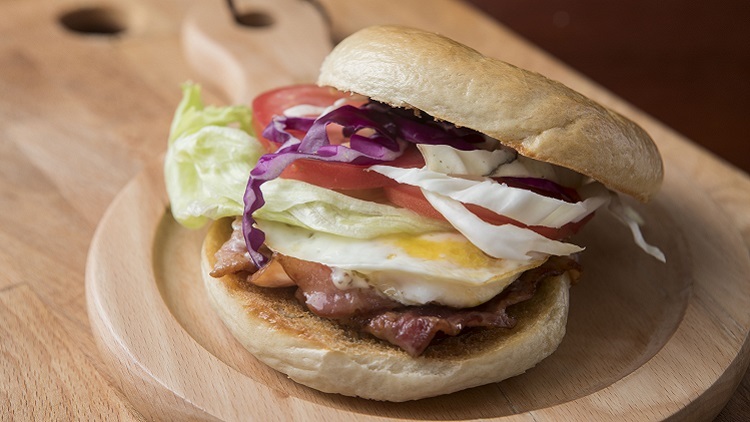 In this case, it’s a total delight of a bacon and fried egg breakfast sandwich (41RMB): think original bagel, loaded with melted Gouda, fresh lettuce, onion, tomato and a fried egg.